d. Remove the bolt from the case. 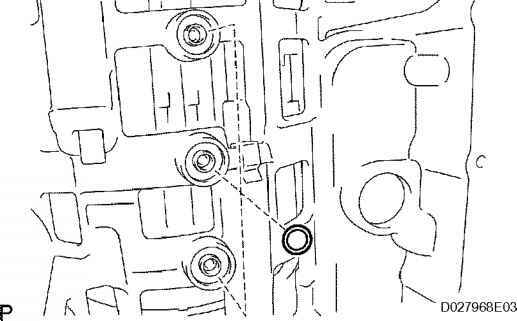 e. Pull the transmission wire out of the transmission case. 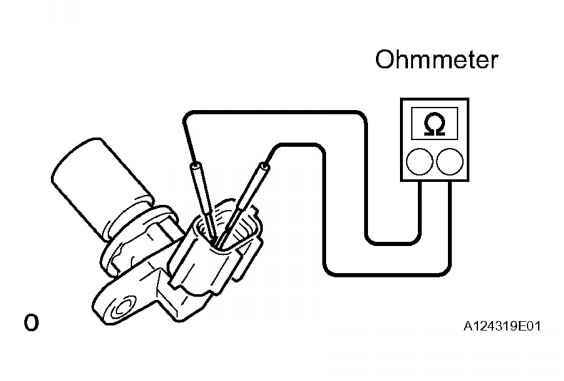 f. Remove the O-ring from the transmission wire. a. Remove the 19 bolts. b. 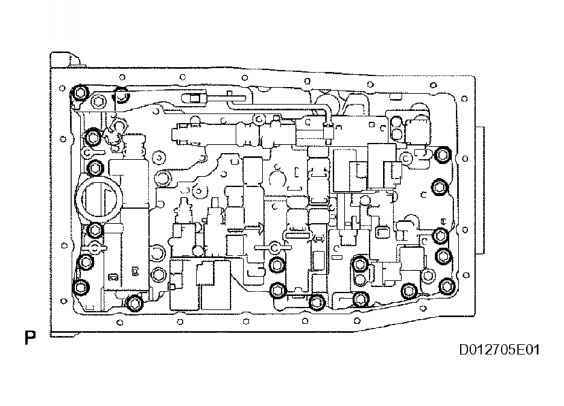 Remove the valve body assembly. Fig. 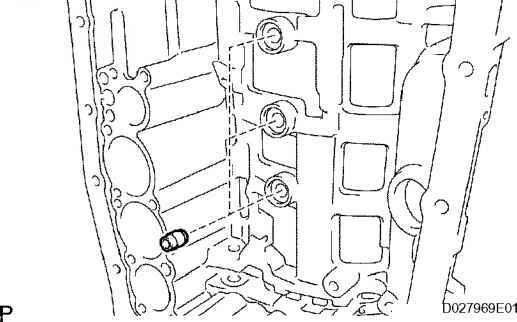 209: Removing Valve Body Assembly Courtesy of TOYOTA MOTOR SALES, U.S.A., INC.
a. Remove the 3 transaxle case gaskets. Fig. 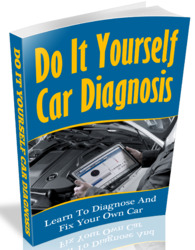 210: Removing 3 Transaxle Case Gaskets Courtesy of TOYOTA MOTOR SALES, U.S.A., INC.
a. Remove the 3 brake drum gaskets. Fig. 211: Removing 3 Brake Drum Gaskets Courtesy of TOYOTA MOTOR SALES, U.S.A., INC.
a. 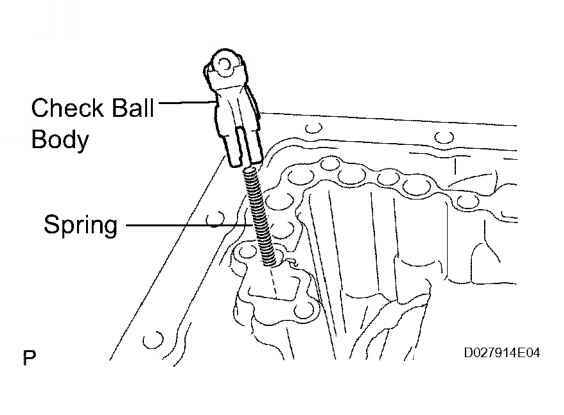 Remove the check ball body and spring. Fig. 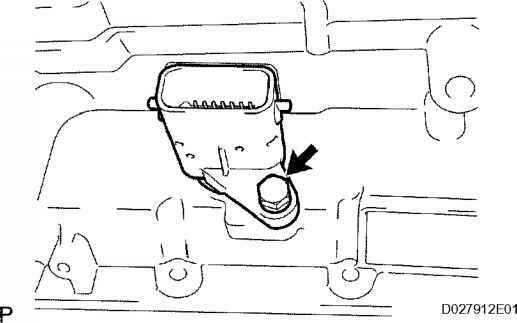 212: Removing Check Ball Body And Spring Courtesy of TOYOTA MOTOR SALES, U.S.A., INC.